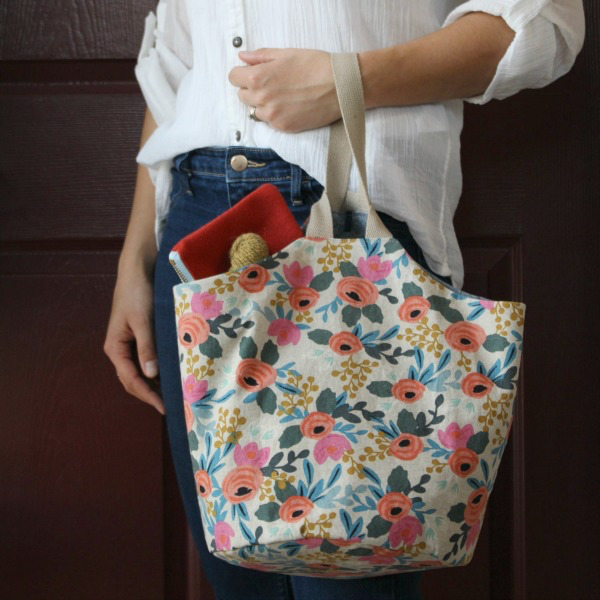 The Take-Along tote is the perfect size for taking along your current craft projects... or even to use as an everyday purse. A wide, round base and supportive stand-up sides make it easy to access the contents inside, wherever you are. The optional pocket with grommet is great for clipping keys, scissors, or anything else you may need to keep secure and handy. 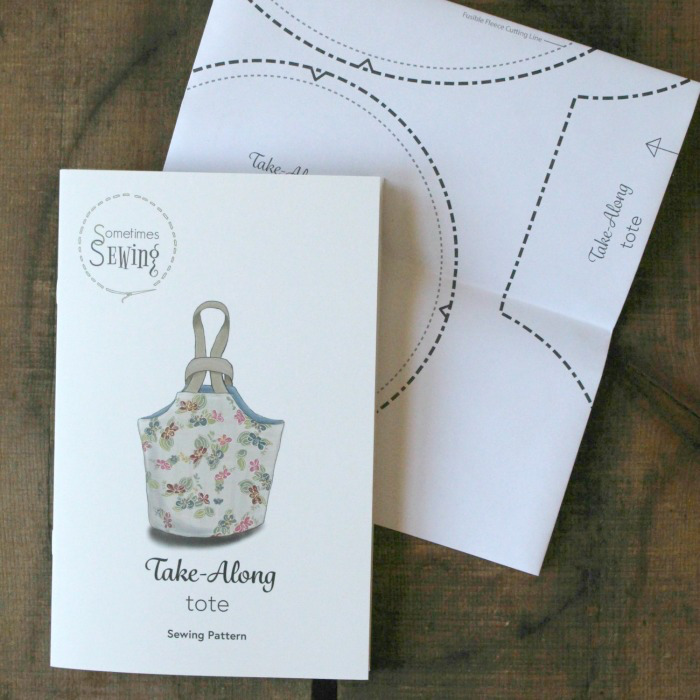 The pattern is printed in a booklet format which includes a full color photo tutorial and cutting templates. 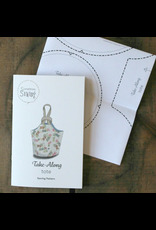 Small Bag 6” diameter base; 8.5” tall; 4.5” square pocket; 6.5” handle drop. 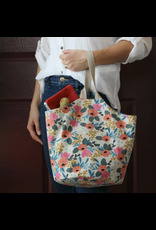 Large Tote 9.5” diameter base; 12” tall; 7” square pocket; 6.5” handle drop.